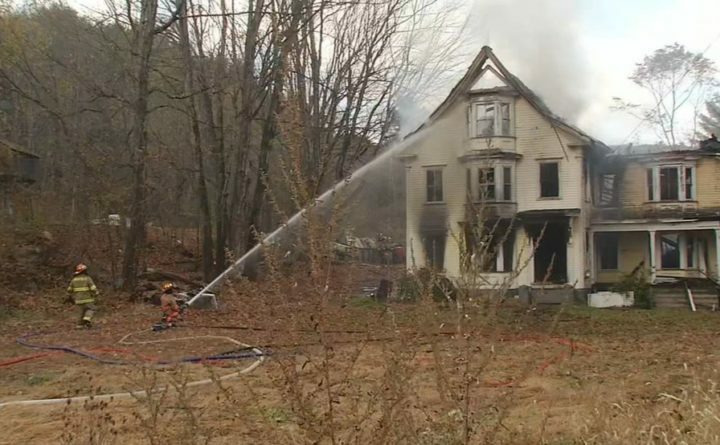 A fire destroyed a home on Route 117 in Turner Sunday afternoon. A fire on Sunday afternoon ripped through a home in Turner where firefighters said they were battling flames for hours. The Turner Fire Department said the fire broke out around 1 p.m. on Route 117 in Turner. Firefighters said no one was living in the home when the fire broke out because it was undergoing renovations. The Maine fire marshal’s office is investigating the cause of the blaze.